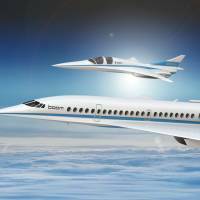 NEW, DELHI/SINGAPORE/DALLAS - Supersonic jetliner travel, which ended more than a decade ago with the Concorde, is set for a boost after Japan Airlines Co. agreed to invest $10 million (about ¥1.1 billion) in Colorado startup Boom Technology Inc. The deal will give JAL a 1 percent stake in the Denver-based company. The airline also secured an option to purchase as many as 20 of the aircraft Boom is developing, the two companies said in a statement Tuesday. JAL is the second company to announce an intention to purchase Boom’s supersonic jet, after billionaire Richard Branson’s Virgin Atlantic. 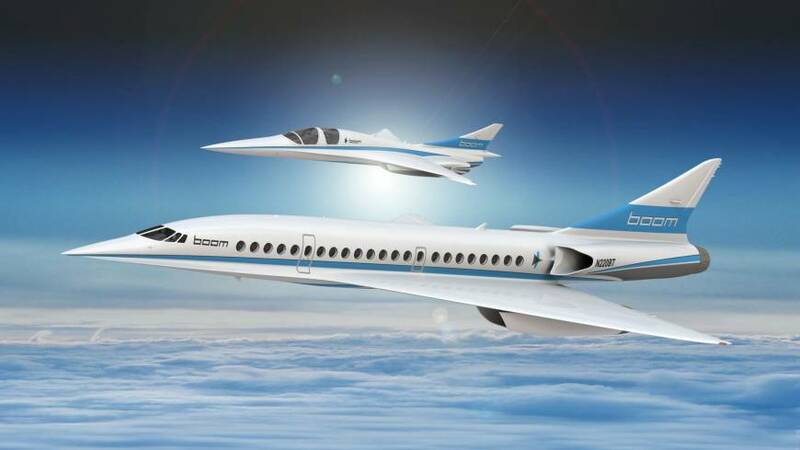 Boom is planning to build a 45-to-55 seat aircraft that cruises at Mach 2.2 (1,451 miles per hour) — capable of whisking passengers between Tokyo and San Francisco in 5½ hours. The Concorde, flown by British Airways and Air France, retired in 2003 after almost three decades in service as customers abandoned the jets amid hefty operating costs. “It’s a signal to the rest of the ecosystem that the customer interest in this airplane is real,” Boom chief executive officer Blake Scholl said Tuesday in an interview. While the company is well capitalized, “the investment was not about the dollars; it was about the symbolism and the meaning of the dollars” to the aviation industry. The jet, targeted to enter service in the middle of next decade, will have a range of 4,500 nautical miles (8,334 kilometers), or roughly the distance between Beijing and London. Boom had commitments for 75 planes and customers have paid significant deposits, he said at the Paris Air Show in June. Orders were spread across five airlines, not all of which have been publicly disclosed, and more buyers will be revealed in the foreseeable future, Scholl said. The plane-maker is still studying where it will assemble its supersonic aircraft. It plans to issue a request for proposals in the first quarter for its factory, which will offer “thousands of jobs,” Scholl said. Boom will select a site late next year, with the facility likely to be completed in late 2019 or 2020. Boom has already struck a deal with Spaceship Co., the manufacturing division of Richard Branson’s Virgin Galactic, to use that company’s engineering, design and flight-test support services. Engine selection, which is crucial for giving customers real cost and performance data, remains an outstanding issue. Boom is using a General Electric Co. engine for its demonstration aircraft. That plane, which passed a preliminary design review in May, is scheduled to fly next year. On the Concorde, deep-pocketed passengers could fly the Atlantic at twice the speed of sound from 1976 to 2003. While costs and noise complaints killed off that supersonic jet, GE, Lockheed Martin Corp., the National Aeronautics and Space Administration and startups including Boom are studying new designs and technology that could make supersonic flight a commercial reality. In November Boom hired Bill James, a former Airbus SE executive who led wing design on the A380 superjumbo, as its vice president of production operations. The company has been in talks with about 20 airlines to sell the plane.